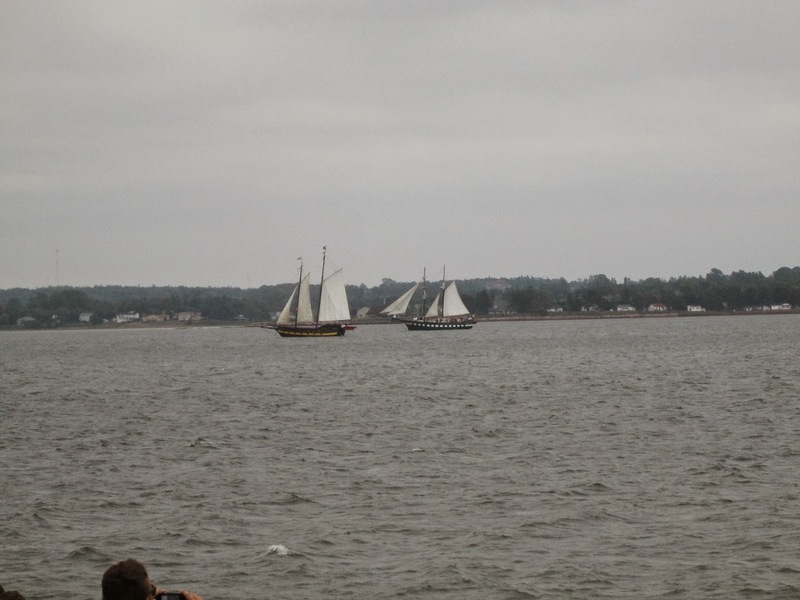 I was to Montague but came back to Charlottetown to see the Tall ships in the harbour under sail. It was windy all day with gusts over 60 km/h. 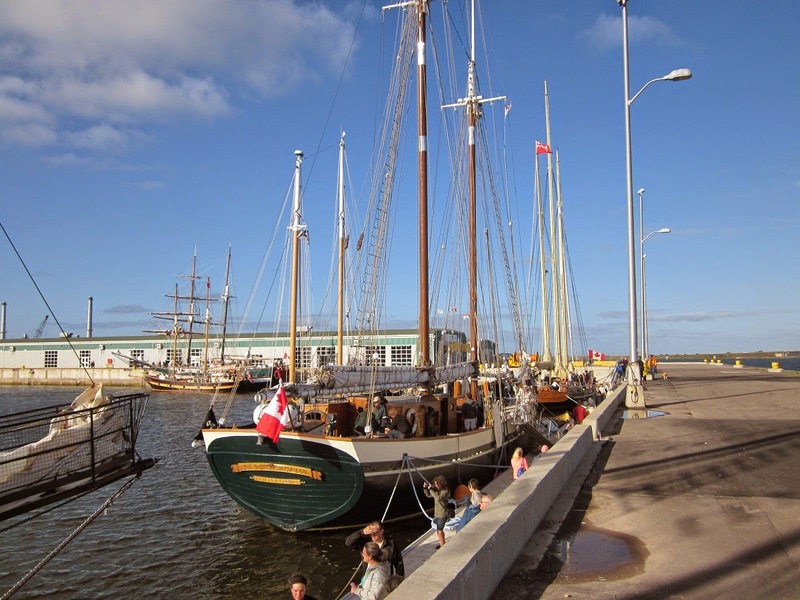 The had planned on sailing to Summerside this evening. 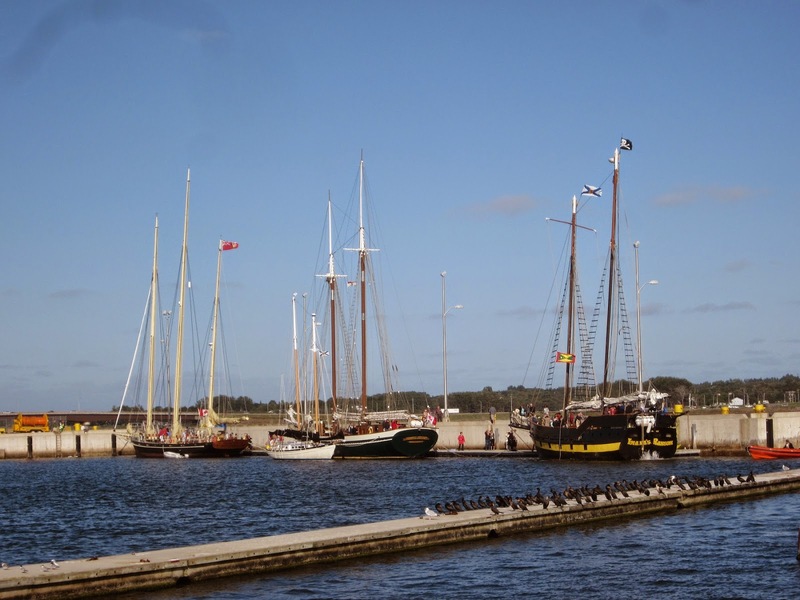 But because of the wind they just went across the harbour and back to the wharf. Mostly overcast day with the temperature at 20. 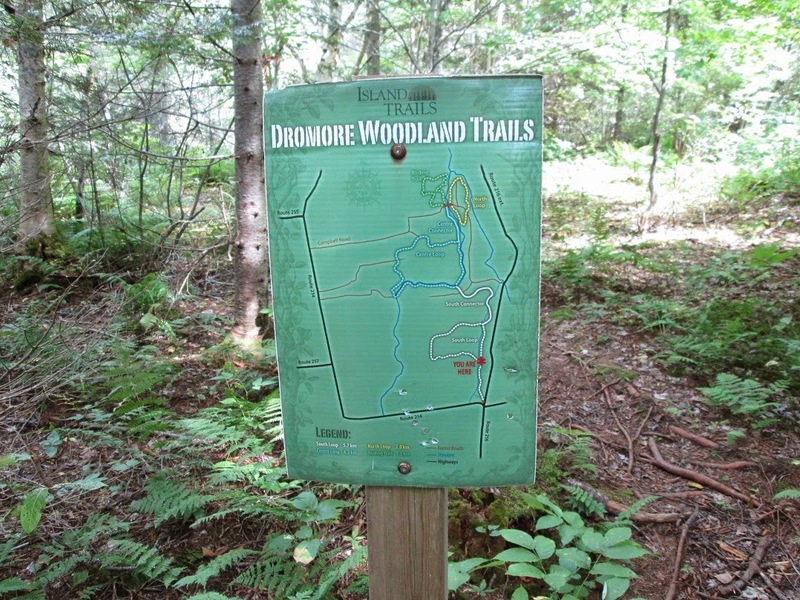 There were about 40 hikers in the group today to hike part of the Dromore trail. 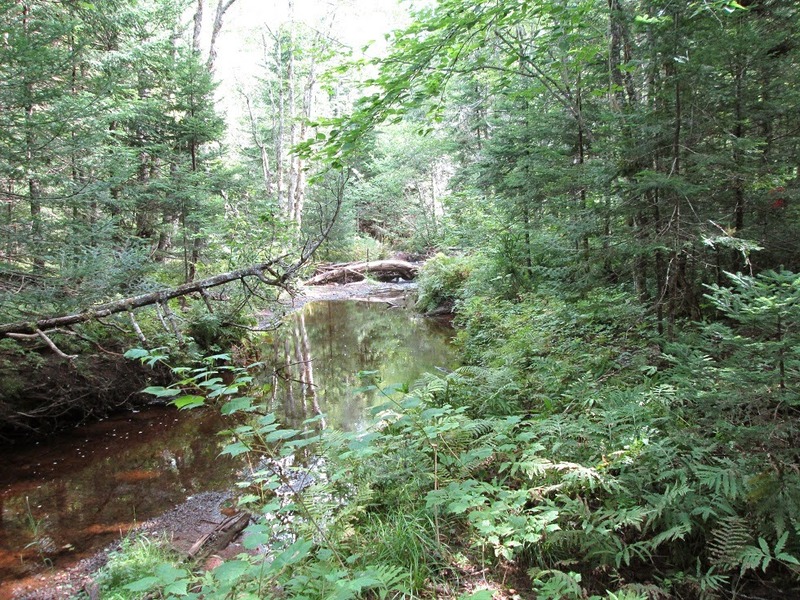 This photo of the Pisquid river is interesting with the reflection of the trees on the water. We hiked in the Campbell road and then though the center loop and the long part of the south loop and then got a ride back to the starting point. The hike was about 8 km and took about 2 1/2 hours. 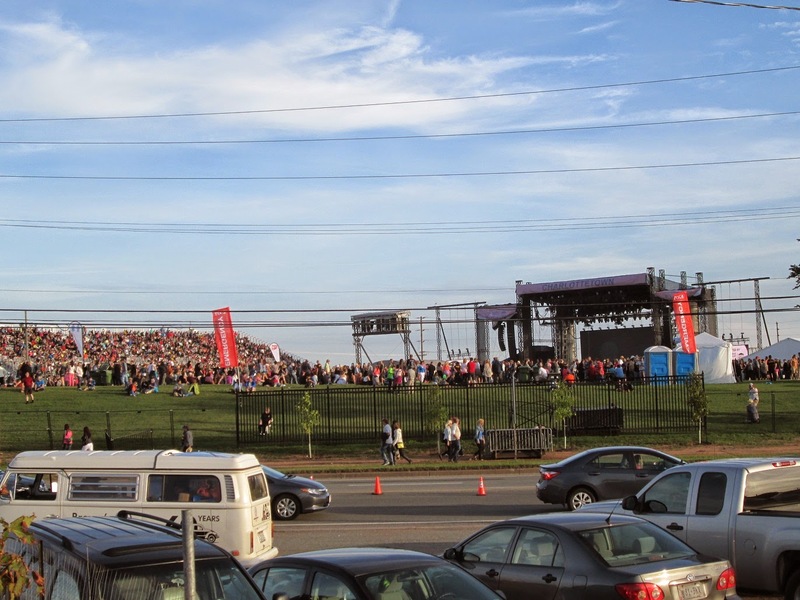 This evening I cycled around the Event ground were the Shania Twain concert is being held, looks like standing room only. 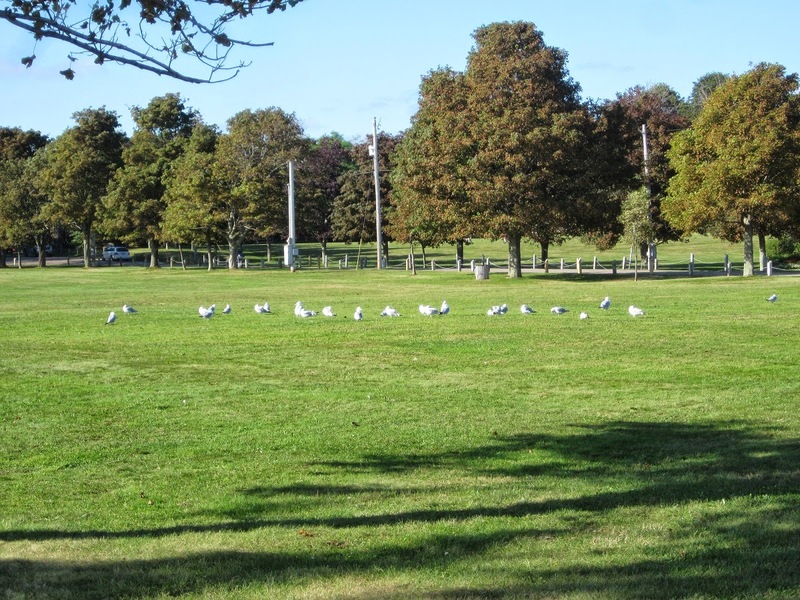 I cycled into the park this evening, very windy, the sea gulls were taking a break from it by staying gounded. 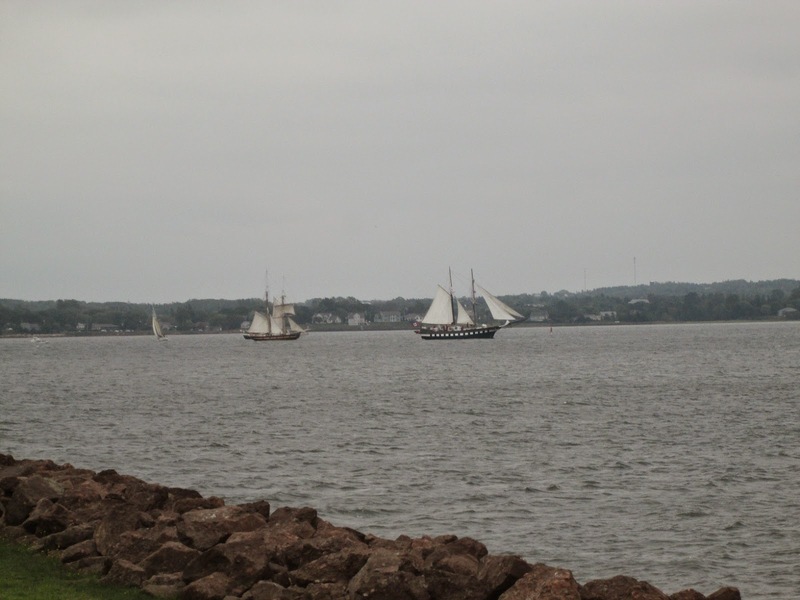 The Tall ships (sailing ships) are in Charlottetown for the weekend, the one on the right just docked, it had being out in the harbour but not using sail. Lots of people having a look at the ships. 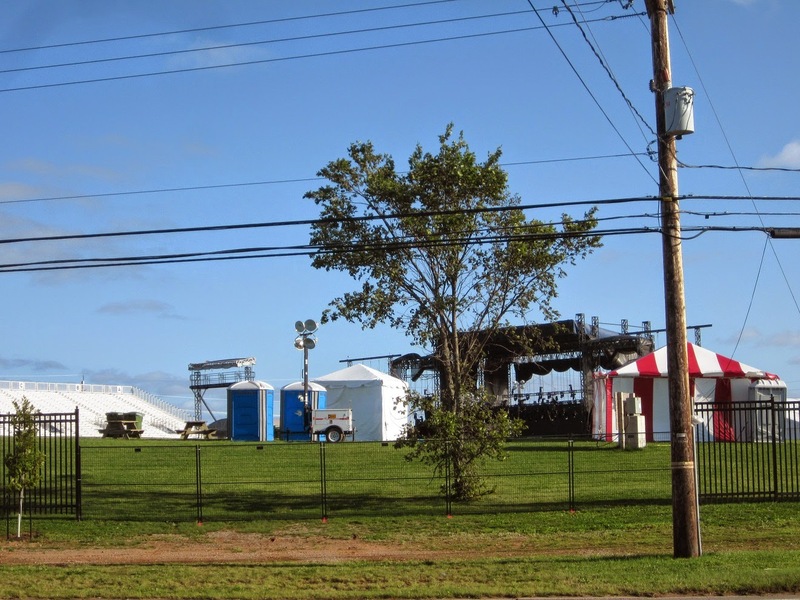 This is the location for the Shania Twain concert the is being held Saturday night. 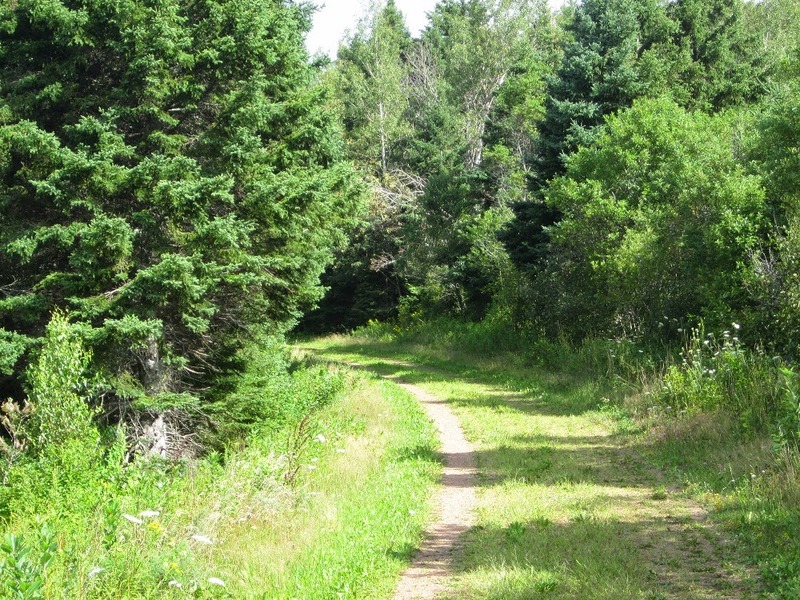 After leaving the park I cycled the trail to Milton and back to Winsloe and the home logging 40+ km for the trip. The temperature is down to 10 as I post this. Yesterday I was busy with yard work and painting, I decided to got to cards in Long Creek rather than cycling. Today more painting but I did cycle to Winsloe in the late afternoon. This evening we cycled from the Sherwood road to Suffolk and back. 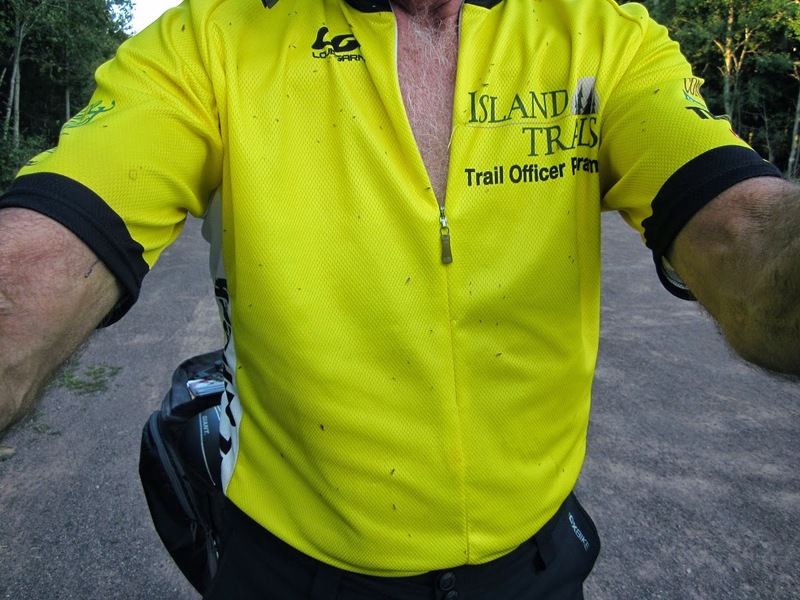 On the way out near York there was swarms of little black flies, the black spots on my shirts are some of them. Most have been the warm day, mid afternoon it was 28. There was 14 in the group this evening, we were taking a short rest at the Suffolk road in this photo. 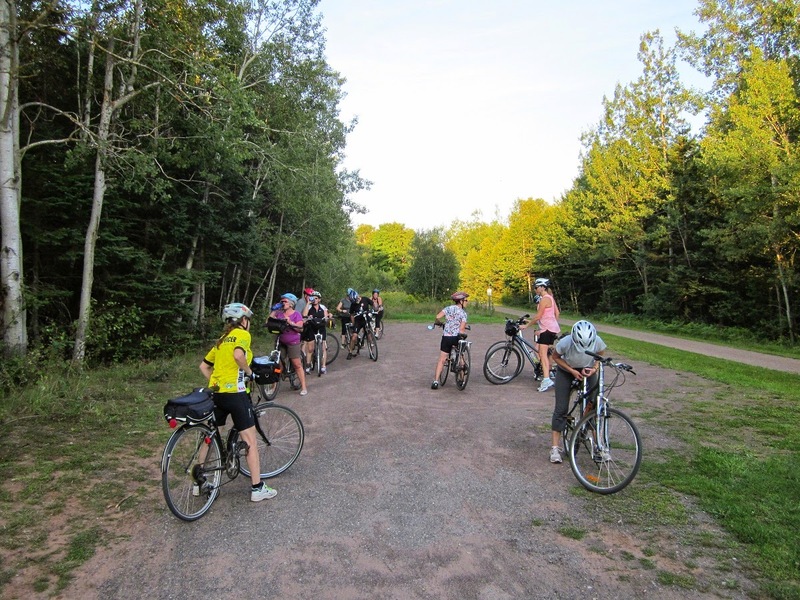 Today on the return ride most of the group stayed together. 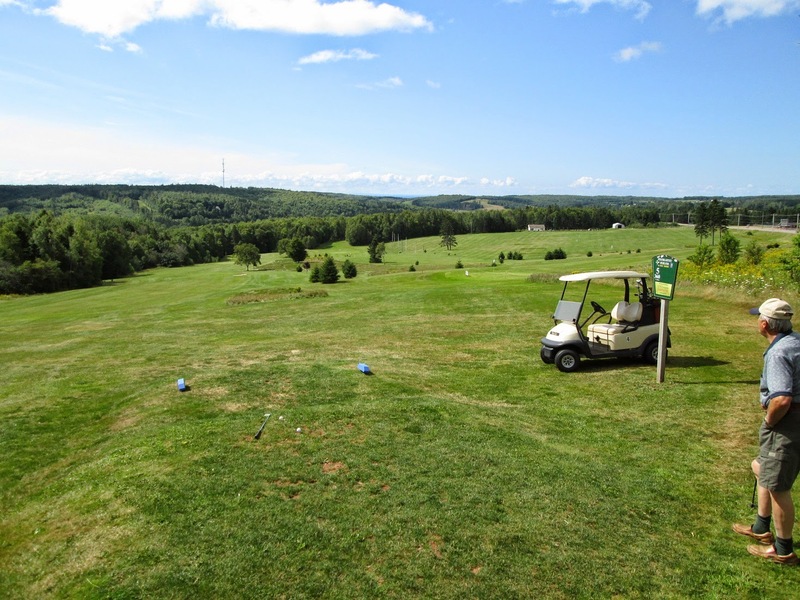 A nice view of the hills of Bonshaw from hole five. 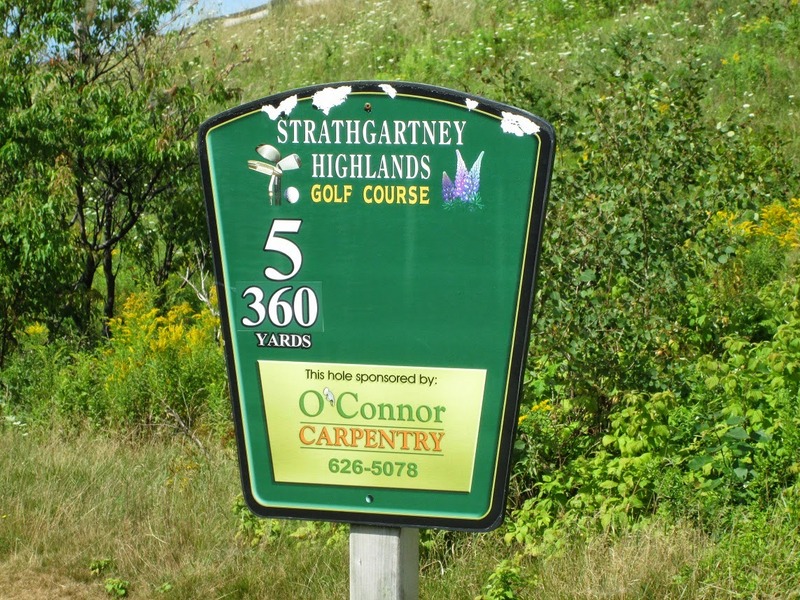 I was golfing in the morning with a neighbor at the Strathgartney Highlands golf course in Bonshaw. After Lunch I drove to North Wiltshire and cycled from there to Breadalbane and back to North Wiltshire, 40 plus km. A nice day for cycling, mostly sunny at 22 with a very light breeze. Today I volunteered to help with traffic control for the Gran Fondo cycling event. 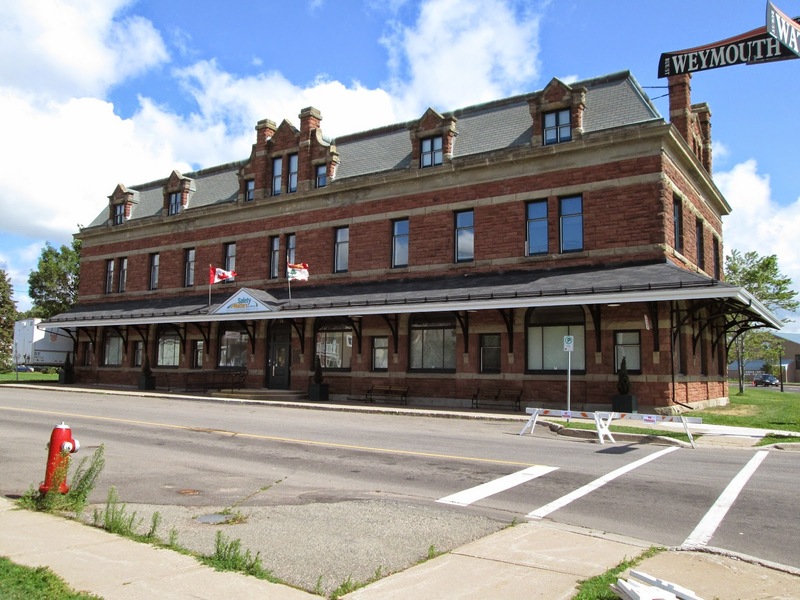 I was at the Intersection of Weymouth and Water streets, This building was the CN railway station for Charlottetown way back in the days we had rail. 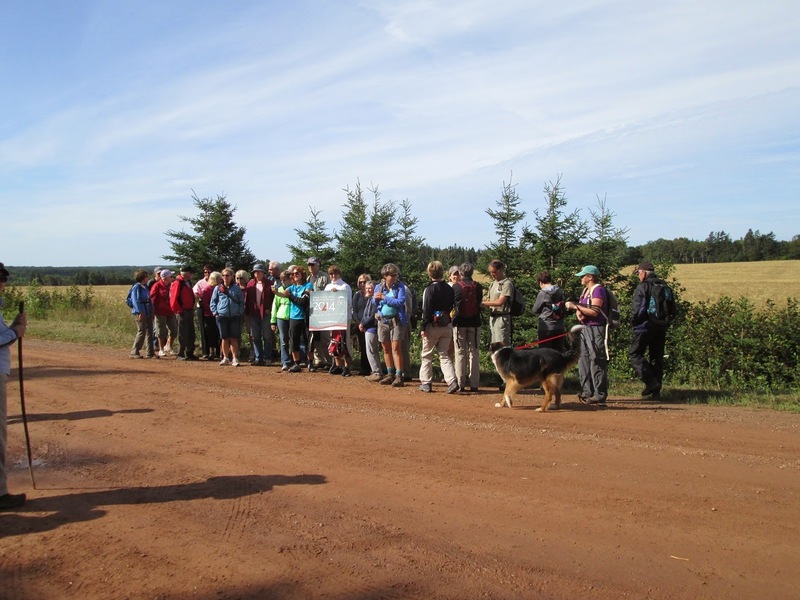 The finished line for todays event was about 100 meters from the intersection. 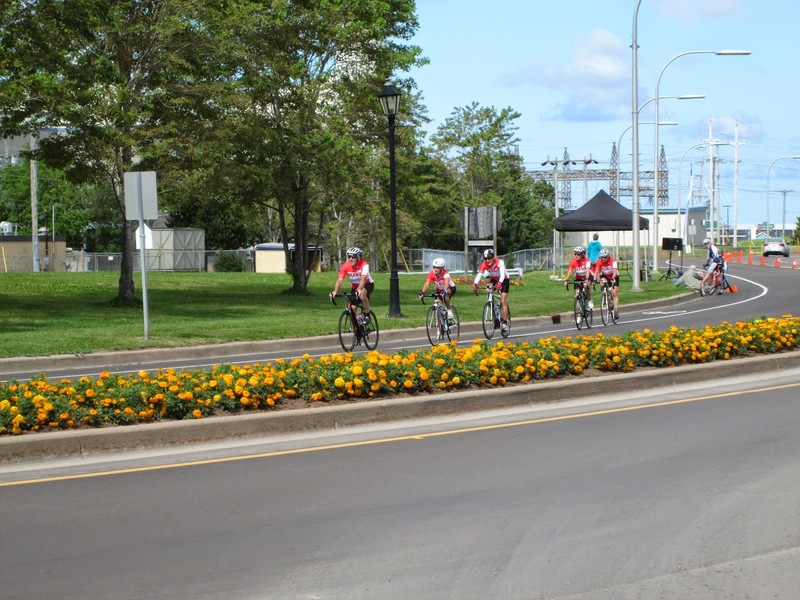 This group was making good speed as they crossed the finish line considering that they had just cycled 146 km. A good day for cycling as a mix of cloud and sun with a temperature around 20 but a little windy at times. 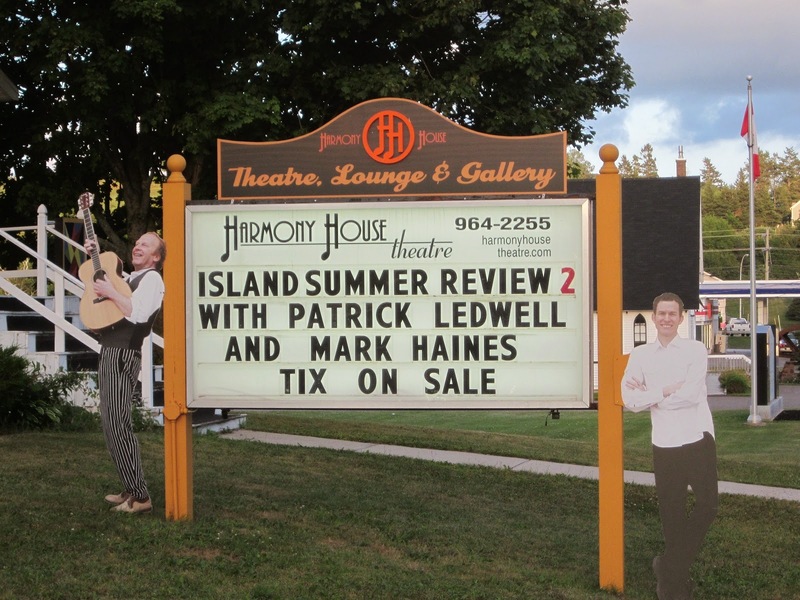 Last night I was to Harmony House to hear Patrick, he and Mark put on a really good show. 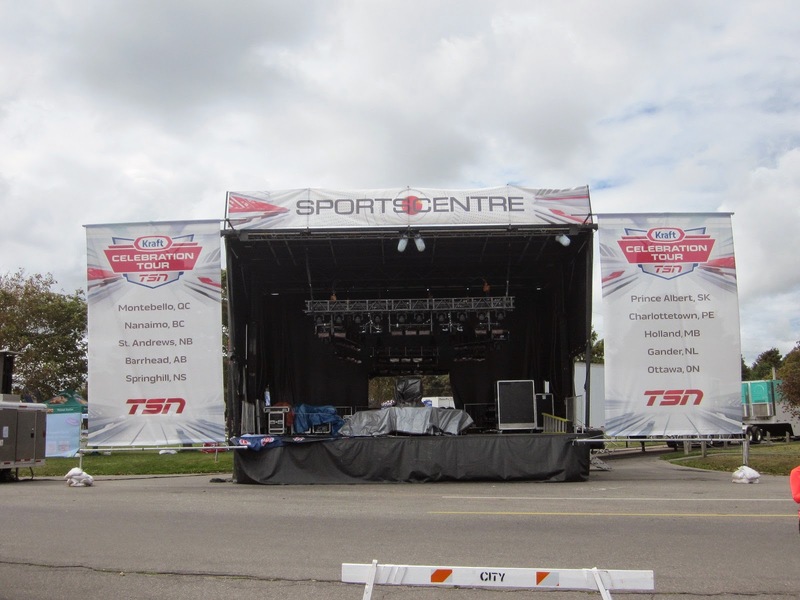 Also yesterday I cycled around Victoria Park, TSN was setting for the Kraft sport show. 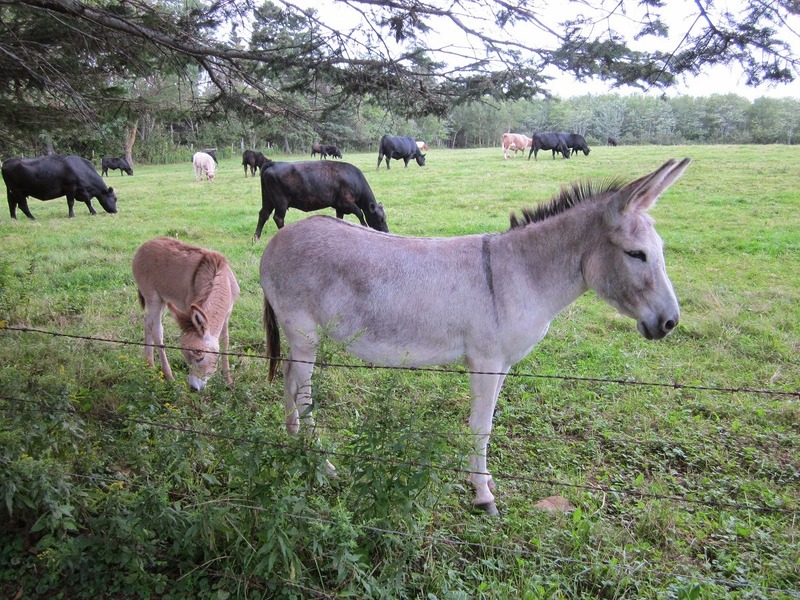 This donkey and foal are in the pasture field at the rear of our property. 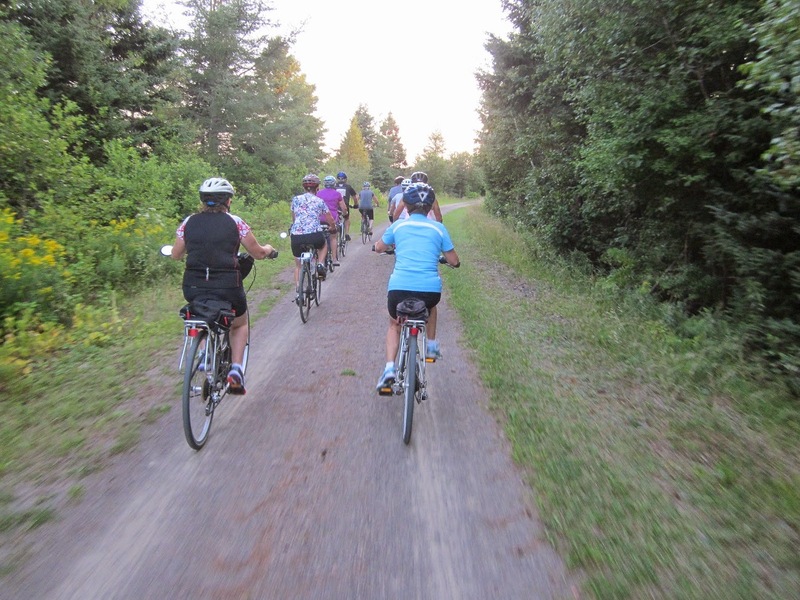 This evening I cycled the Victoria park loop to the Joe Ghiz park, then the trail to Winsloe and took the road home. Mostly overcast with a high temp of 20. It was breezier this evening. 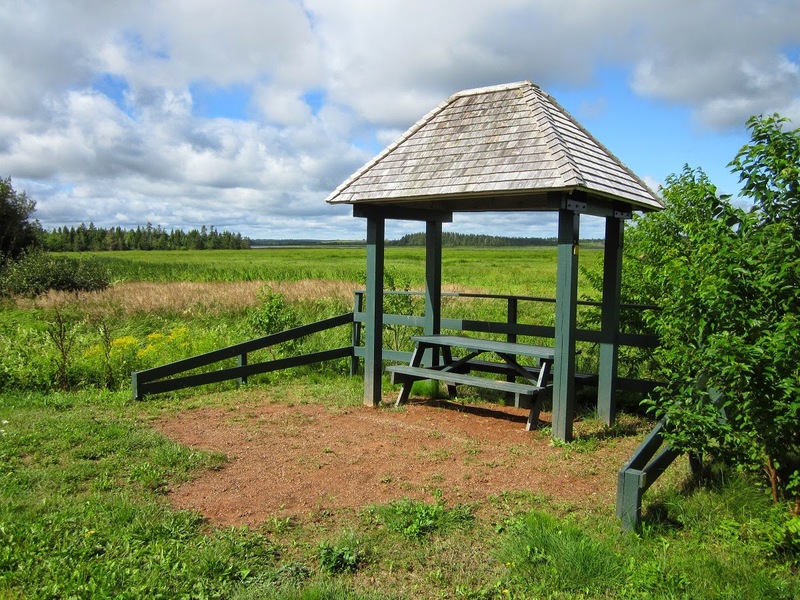 Today I cycled from Cardigan to Mount Stewart on the trail, this lookout is near Mt Stewart looking out over the marsh of the Hillsborough river. 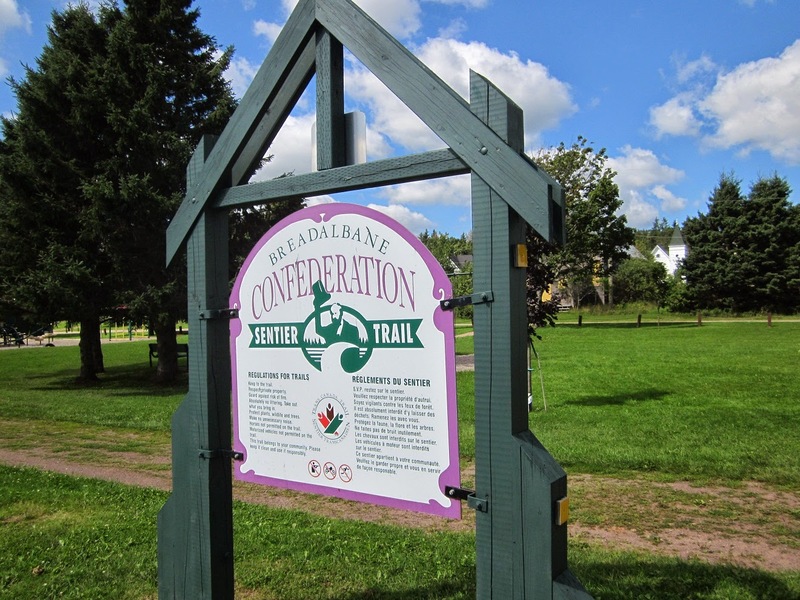 The trail in the same area, a fair amount of grass growing on it. 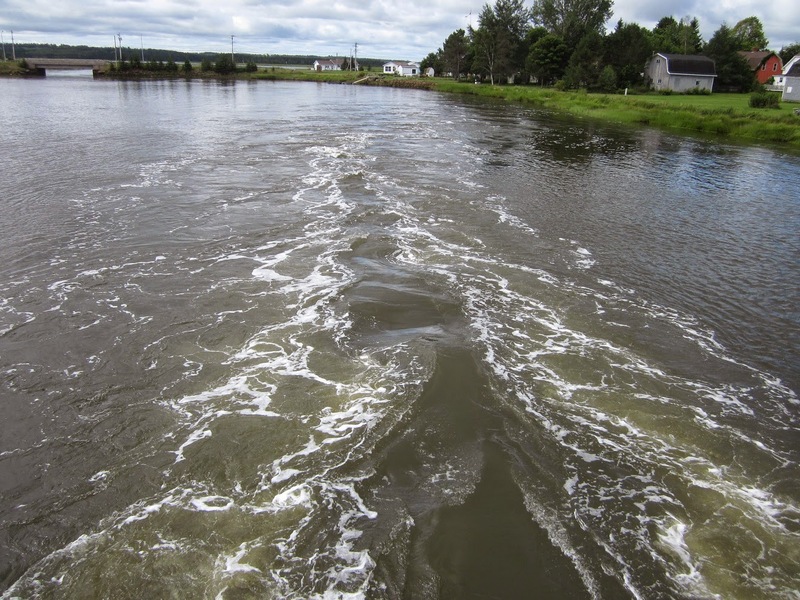 This photo taken from the trail bridge, the tide is going out and there is a strong flow of water moving. 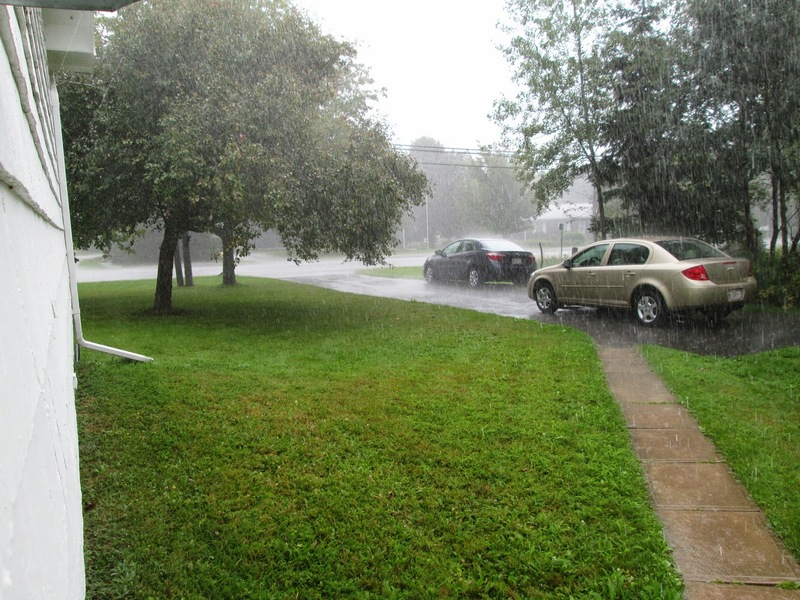 After I got home from cycling, I mowed the lawn and cleaned up the mower the afternoon was done. 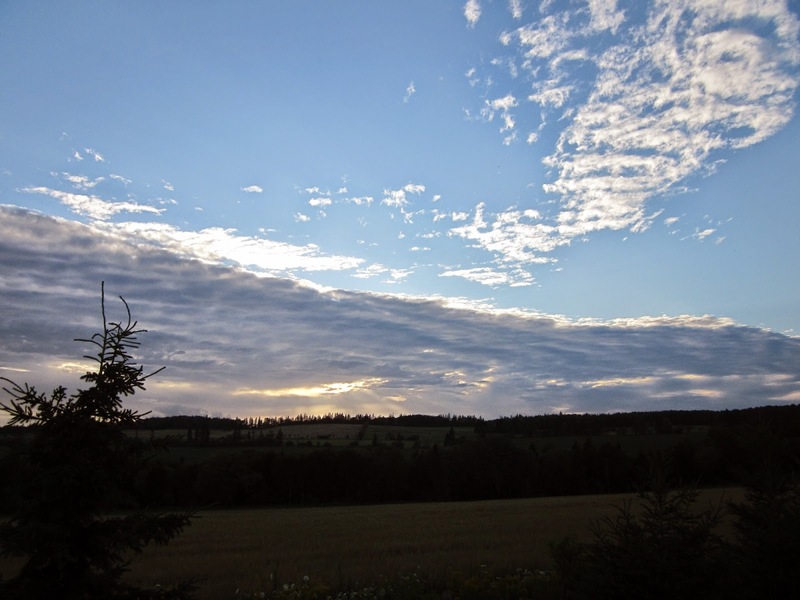 A mix of cloude and sun with a temp of 20. After supper I went cycling, not sure if I was going to get wet. 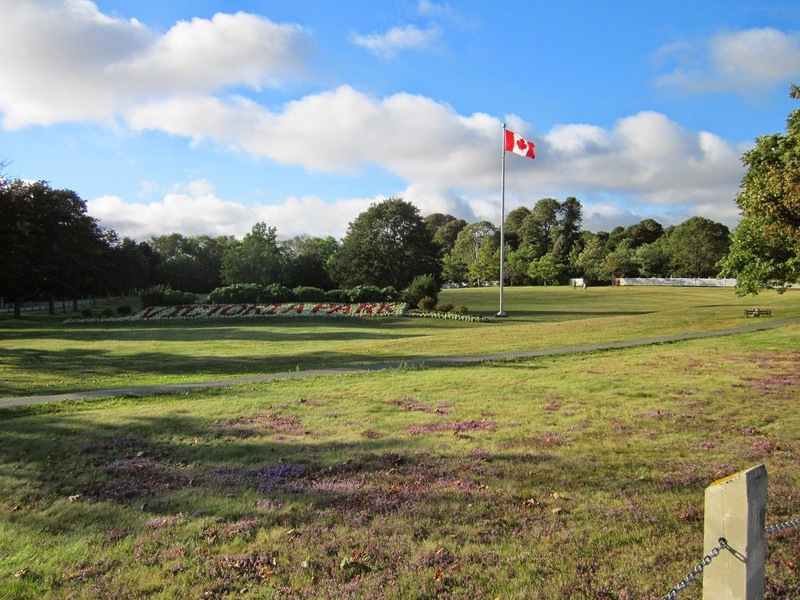 I cycled around Victoria Park and took the trail to Winsloe. 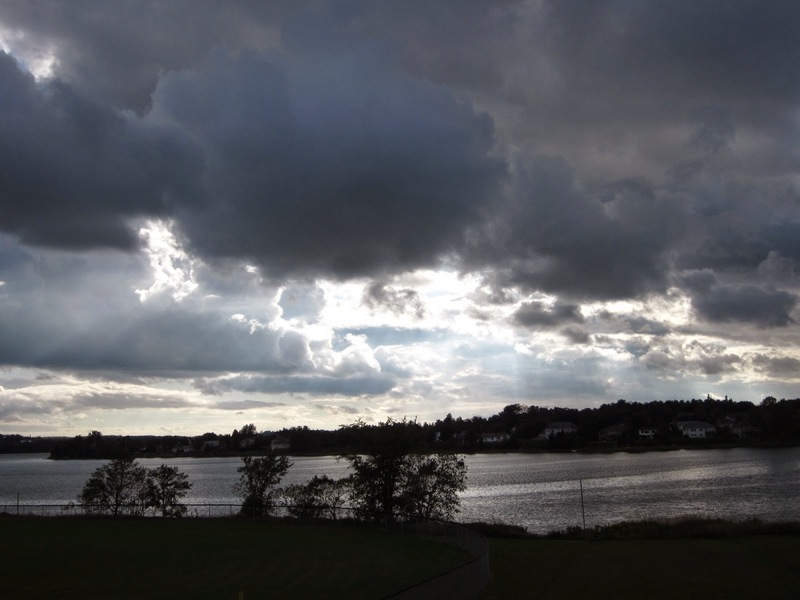 The clouds were dark as I was leaving home. 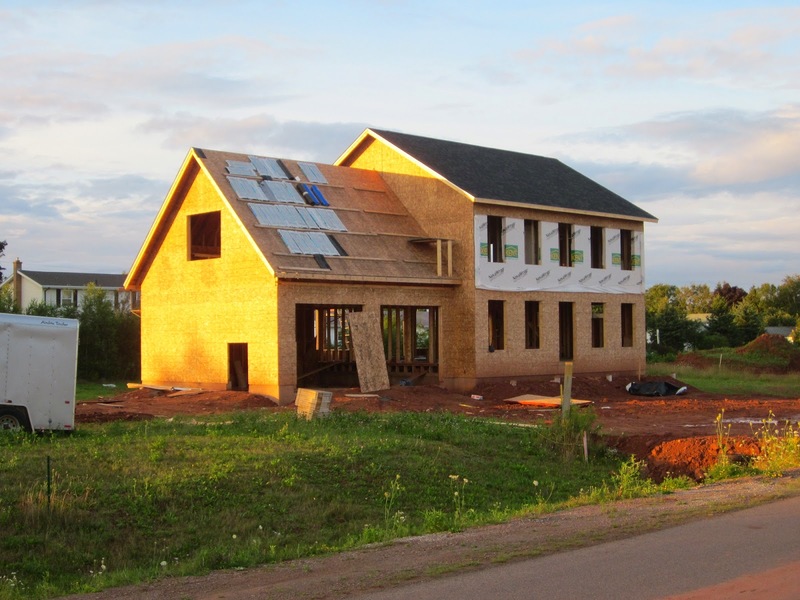 But the sun was out when I got home, this house is going up on Lantern drive. The clouds much lighter with a fair amount of blue sky. 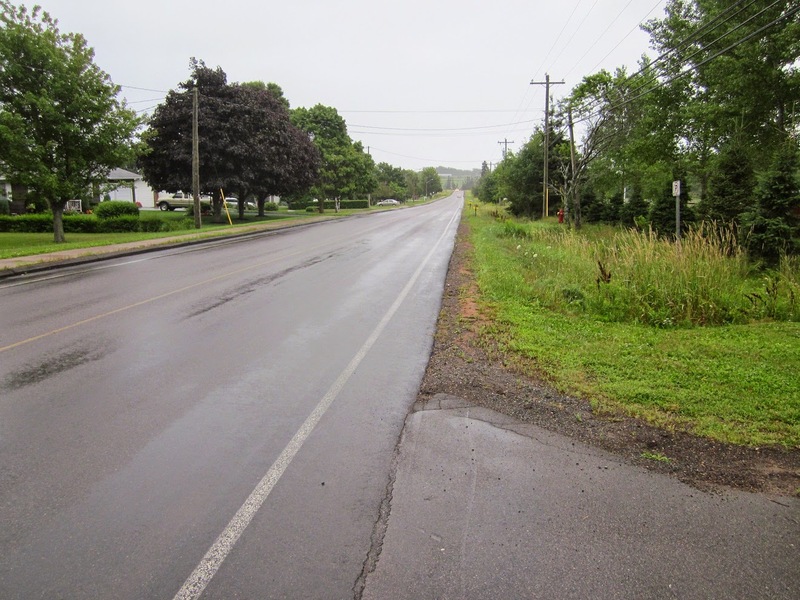 I attended a cycling meeting this morning and there was rain off and on for most of the day. The high temperature was 19. 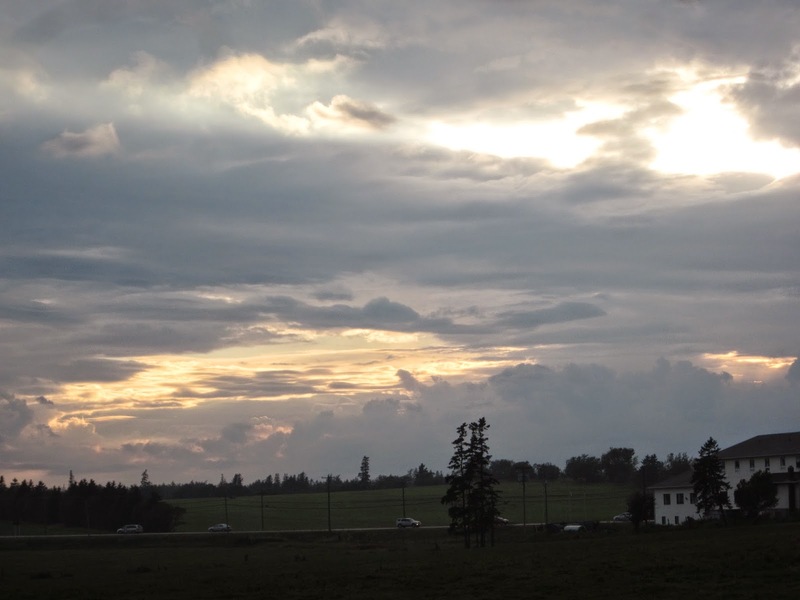 I cycled to the chicken barn and was home for only a few minutes before the rain started. 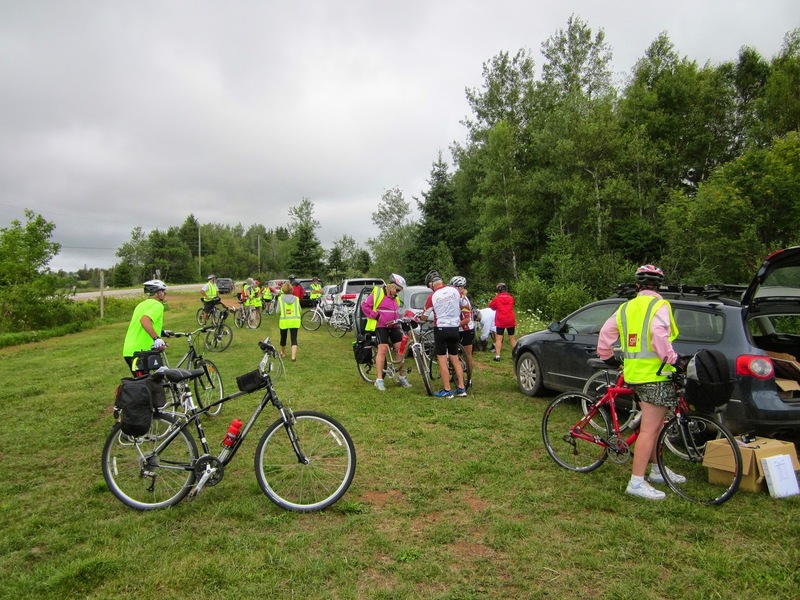 Around 11:00 I drove to York, then cycled the trail to Mount Stewart and back logging 43 km. Late afternoon I was to Hampshire for a family social. 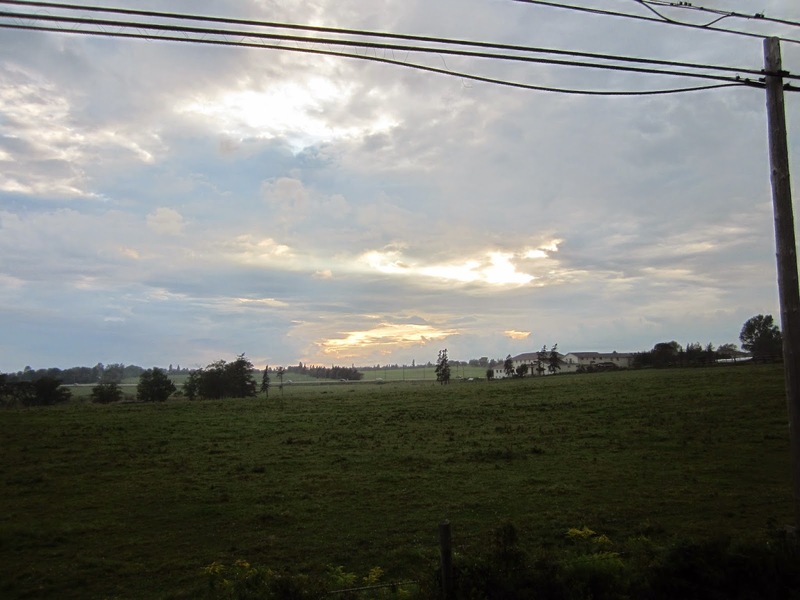 This morning it was cloudy, some sunny breaks in the afternoon and then a rain shower. On the way home I got these shots of the sun trying break though the clouds. Temperature was around 20. 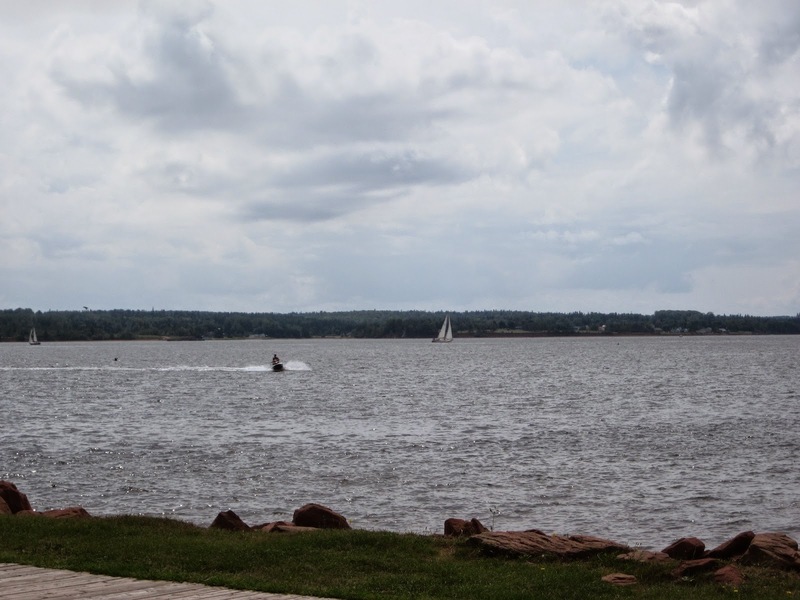 I cycled around Victoria park after lunch, this Skido was playing in the harbour. I then cycled the trail to Winsloe, then the road home. 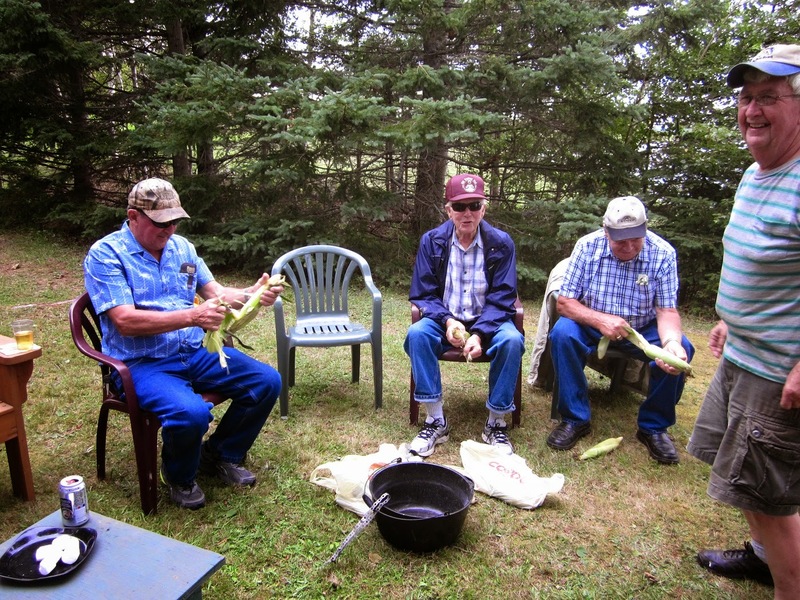 This evening I was to a cornboil at the shore, we cooked the corn over the open fire. 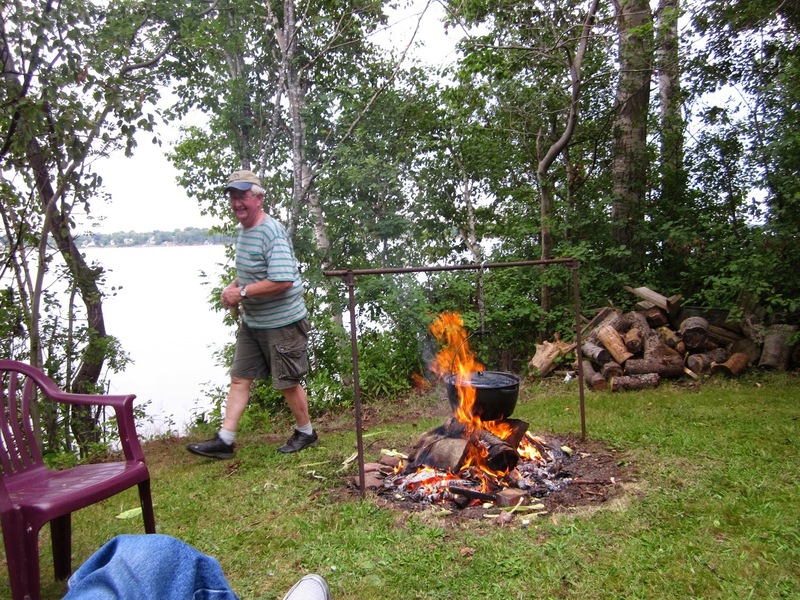 We had a good fire so it didn't take long to cook it. 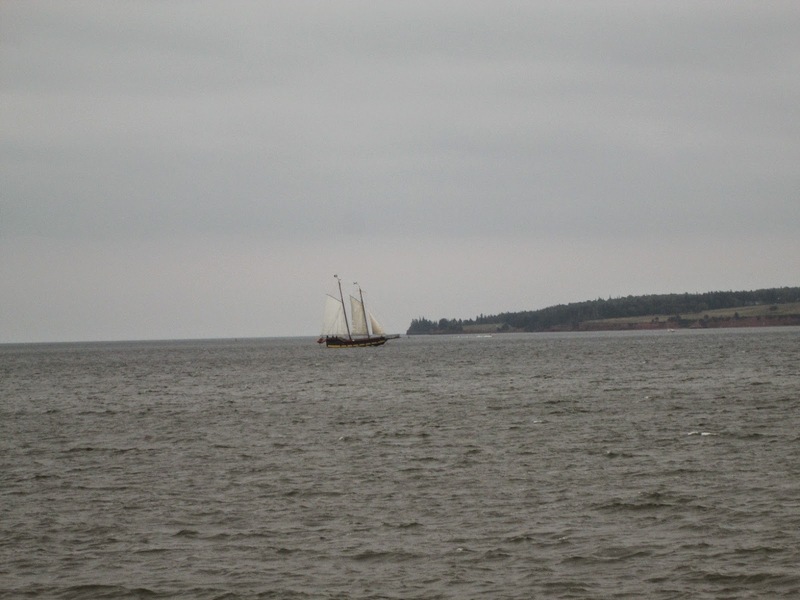 It was cloudy but a pleasant 20 degrees with a light wind. 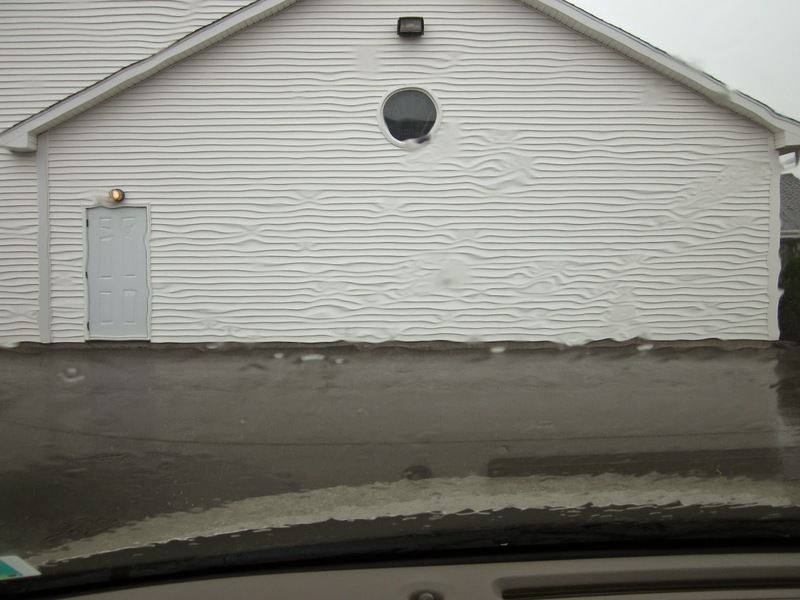 Rain on the windshield made it look like the siding is all warped. I was at my Brother-inlaw's for a couple hours helping him with a project. 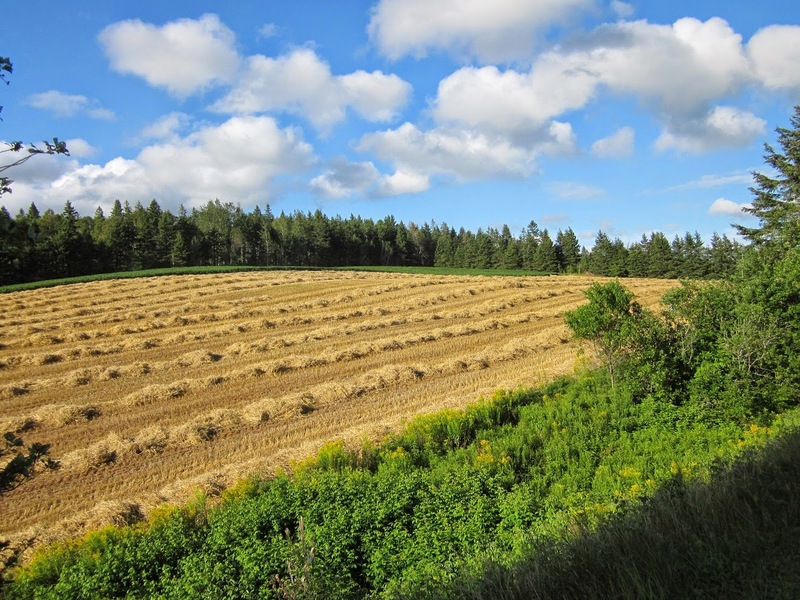 This freshly combined grain field is just west of Hunter River. 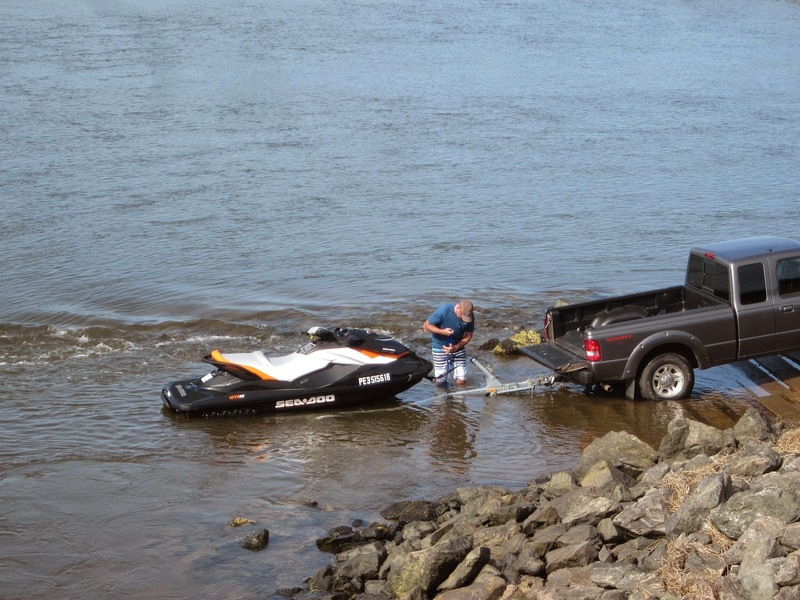 This afternoon I cycled to Charlottetown to do some errands, these photos were taken at the North River of the boater loading his Seadoo on the trailer. 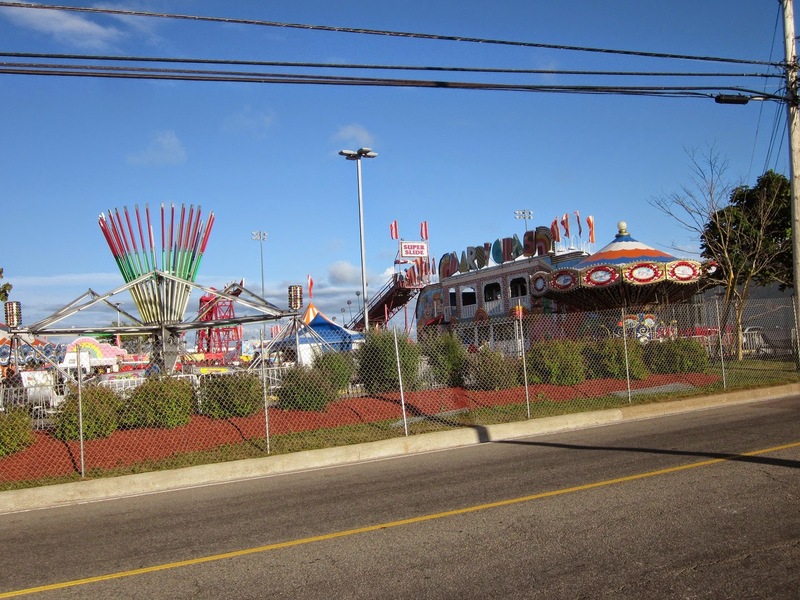 Mostly sunny with a high of 25. 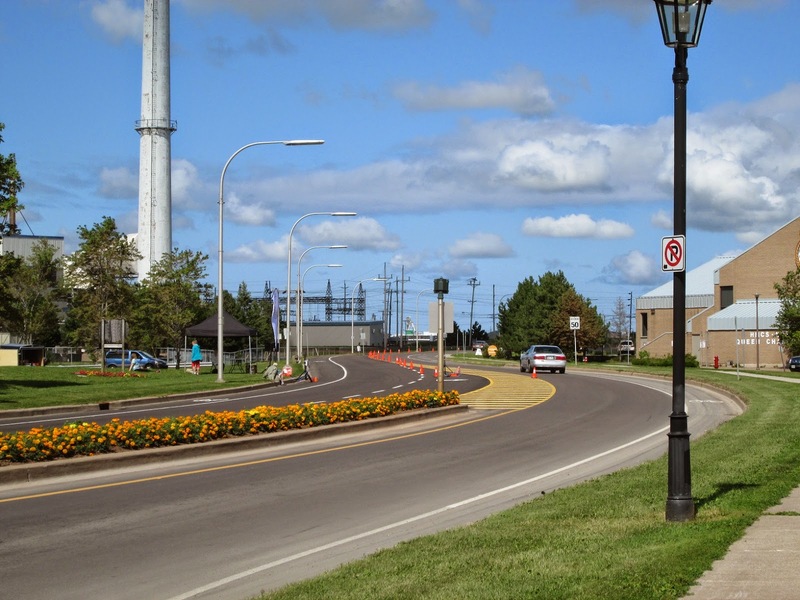 Around 4:00 PM I when cycling, I cycled the trail from the mall to the bridge in Milton. 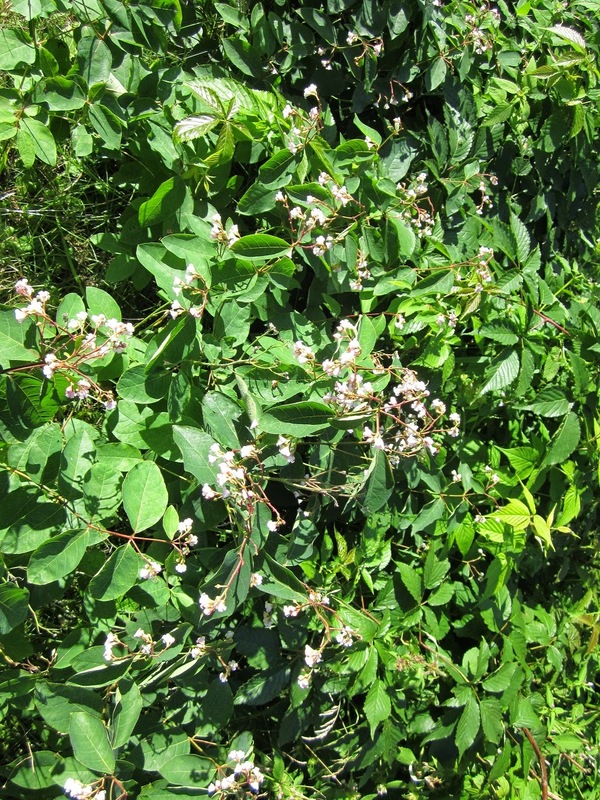 These flowers are wild Buckwheat and are near the fire school in Milton. 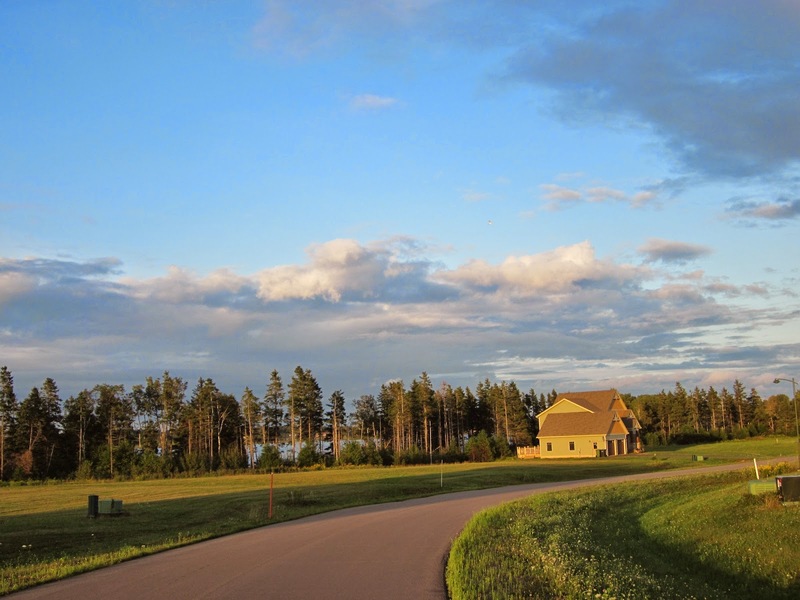 A mostly sunny day with a temperature of 20. 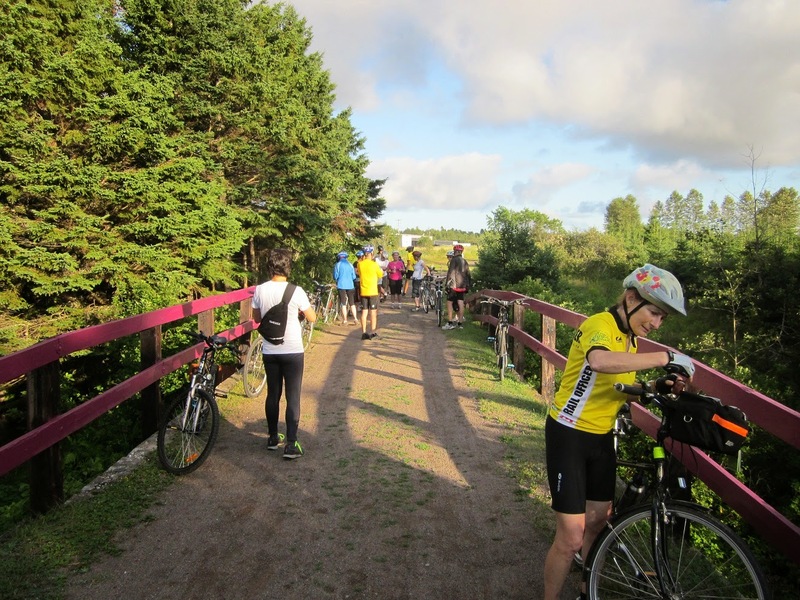 We only had 15 on the group this evening, we stopped for a rest at this bridge in Milton. 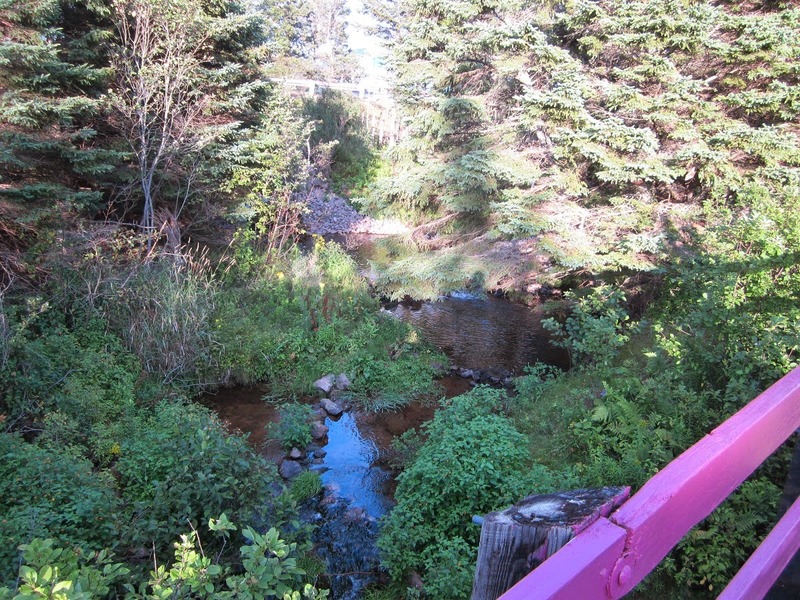 This is the creek that runs under the bridge. We turned at marker 167 in Hampshire which gave us about 25 km return from the Sherwood road. Mostly overcast all day with a temperature around 20. The Saturday ride started in Hampshire at the Colville road, about 25 in the group. 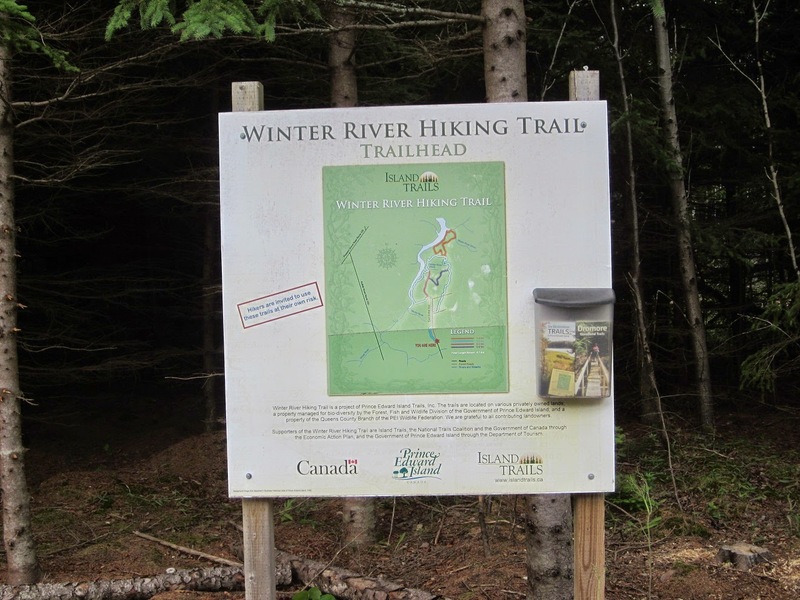 We cycled to the Winter River trailhead in Suffolk, about 26 km one way. 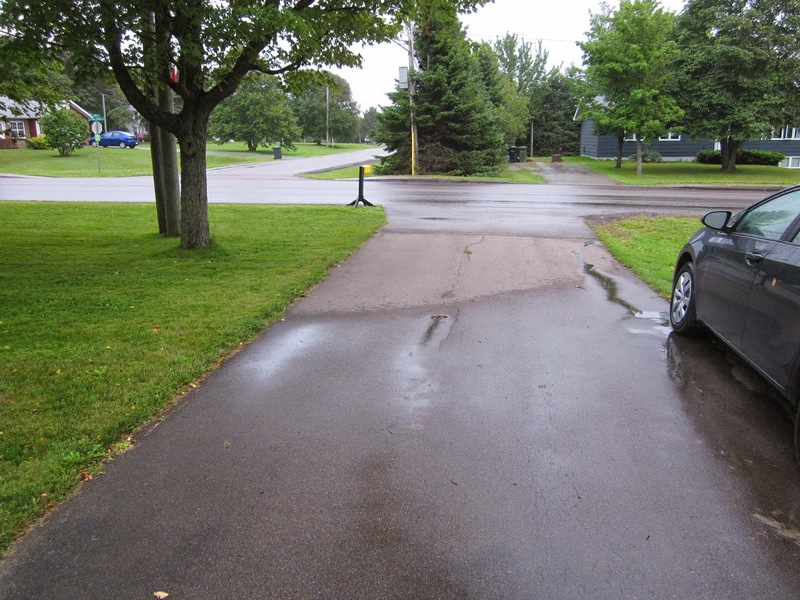 Today was a drizzle / rain day, there wasn't enough to wet the driveway under the maple tree. 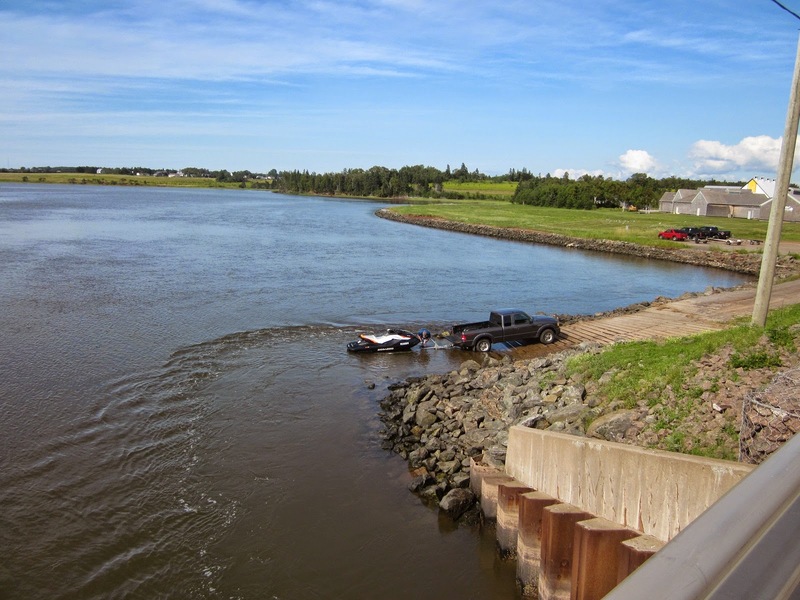 The road was totally wet, my rain gauge showed a total of 4 mm. 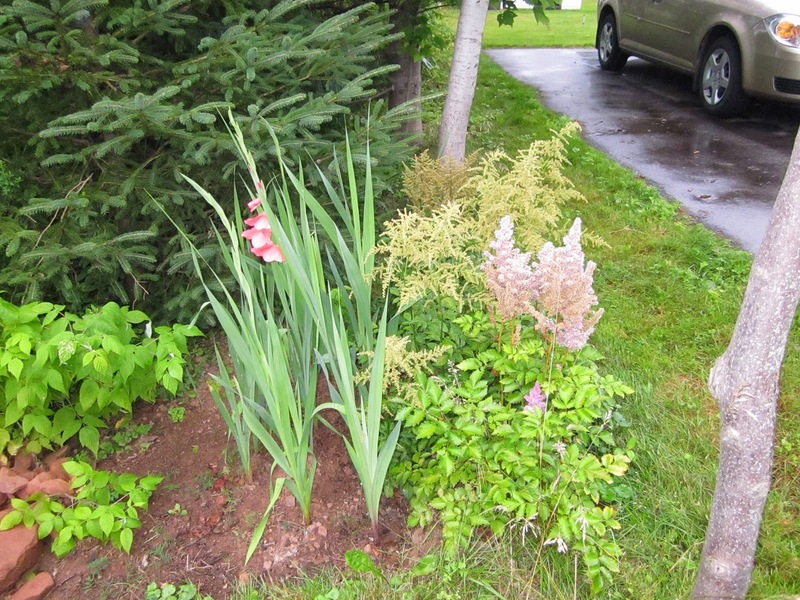 One of the Gladiolas is starting to bloom. No cycling but I did take a walk though the woods by the ball field, there is a few small trees that were blown down during the summer. This evening I cycled around Victoria Park, then over to the Kensington road. 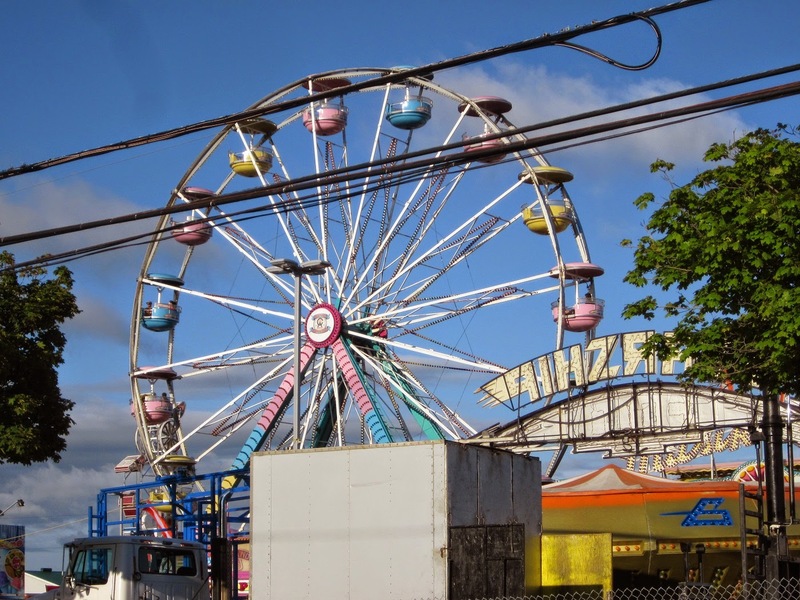 The Midway rides are set up and running for Old Home Week. 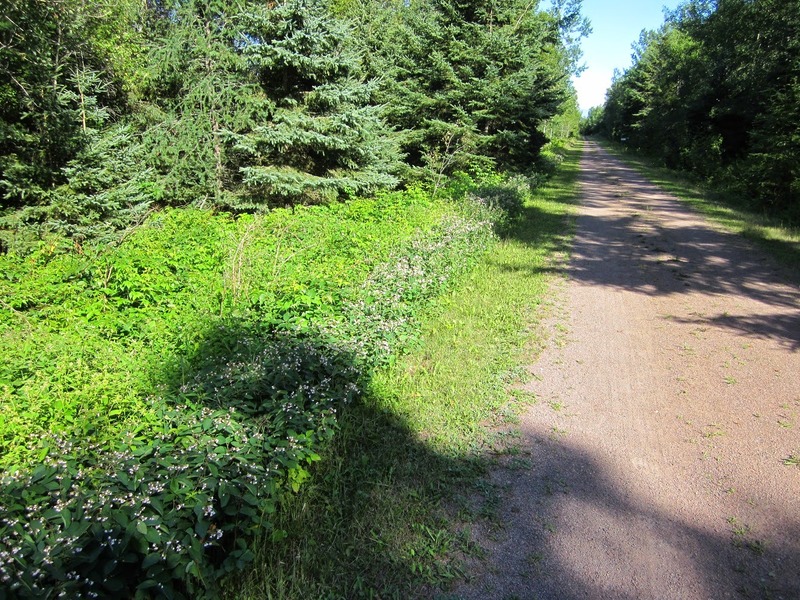 I then cycled the trail to Winsloe and took the road home. 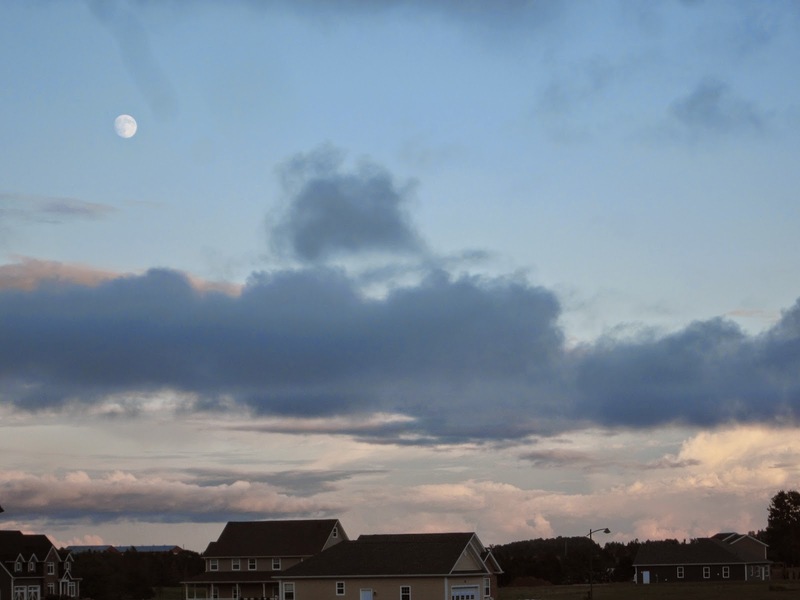 Full moon on Sunday, It was windy, gusts to 45 km/h with a temperature off 19 went I was out.